I’m a big fan of Gallic Books and was very pleased when they sent me this novel out of the blue, despite never having heard of it or author Helene Gestern. According to Gallic’s website The People in the Photo has won more than twenty literary awards, which is incredible. It has a very simple premise and format, but it is in fact a very rich novel. The ‘heroine’ interestingly has the same name as the author – not sure if that was for a reason. Anyhow, Helene in the book is an archivist in Paris, and she comes across a newspaper clipping of a photo showing two men and a woman, posing in their tennis gear at a resort in the mountains. She recognises the woman as her mother, who died when she was three – about whom she knows nothing. So, she decides to take out a newspaper ad to seek more information on her mother or indeed the two men in the photo. A reply comes from Stephane, a Swiss scientist living in England who recognises one of the men as his father. Both Helene and Stephane are intrigued by this photo that they had never seen before, and they begin to correspond, jointly investigating both the photograph and the lives of their parents. Helene grew up with a distant father and a loving stepmother, Sylvia – neither of whom would tell her anything about her mother; Stephane’s father was also distant, absorbed more in his photography than his family. 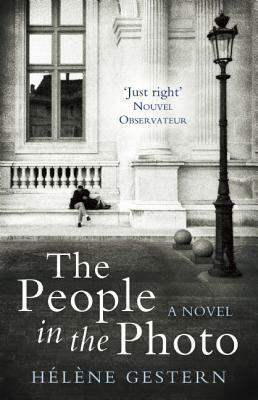 Both parents are shrouded in mystery with Helene and Stephane knowing nothing about who they were as people, or anything much about their lives. Going through old papers and albums draws back a curtain that Helene and Stephane have had in their way their whole lives. Their parents knew each other, and so they find that their research and stories intertwine, bringing up a wealth of questions – how did their parents know each other? And when? What happened to them? And, of course, what was the real reason that Helene was never allowed to know anything about her mother other than that she died in a car accident? And even that she only found out when a drunk auntie let it slip at a party. As Helene and Stephane discover more and more about their parents, their relationship also develops. Having these two mysterious people in common creates a deep bond between them, and they develop a strong affection for one another. Their letters, emails and text messages (which form the book) become increasingly personal and sweet, as well as moving when they discover some unsettling truths about the past. This is a book in which the past and present exist at the same time, as more is uncovered and brought into the light. It is also about family, and love, and history – and legacy. Helene’s mother has had a profound effect on her life, despite being almost entirely erased from it. Similarly Stephane’s father, though distant and unaffectionate, has created in Stephane an uncertain person, afraid to repeat the mistakes of the past. I felt that The People in the Photo seeks to demonstrate that no matter who we are or what relationship we may have had with our parents, their lives and their history are vitally important to our present lives. They inform our identity, whether they are alive or not, or whether we knew them or not. Our family is who we are. Originally published as Eux sur la Photo in France by Arlea in 2011; and as The People in the Photo in the UK by Gallic Books in 2014. My copy was kindly provided by Gallic Books for review. A wonderful review and I especially love those words you write at the end about family. …no matter who we are or what relationship we may have had with our parents, their lives and their history are vitally important to our present lives. They inform our identity, whether they are alive or not, or whether we knew them or not. Our family is who we are. It is a very sad thing not to know, even though something of it exists within a person, whether they know or not who their family are. The books sounds very engaging, thank you for such an enticing review. And thank you Claire for such kind words – always great to hear. Gallic Books really do unearth some French treasures for us! I’ve just been looking at their site, what a fabulous concept! Lovely review, and thanks for commenting on my blog yesterday, I’ve just finished this one and loved it, and agree so nice to find others love a book that you loved too!